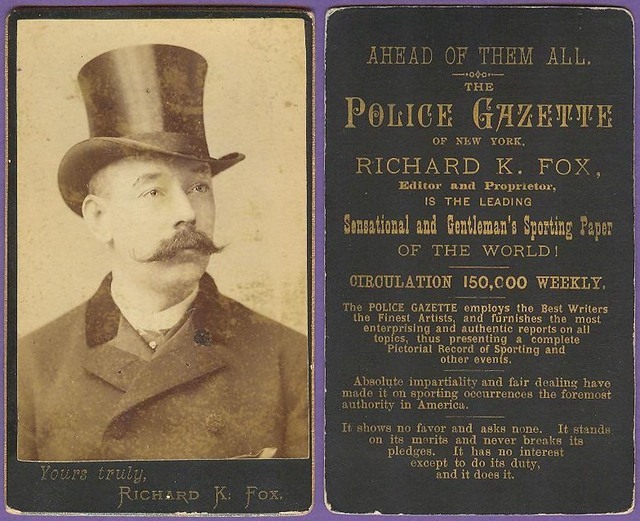 Richard K. Fox, publisher of the Police Gazette, was a well known photographer and prize fight promoter. He was responsible for a large issue of cabinet cards under his own studio name as well as a set issued under the Police Gazette name. He also made up several CDVs of himself, like this one.